Remarkable cinema can be born of lesser literary source material, and vice versa. An arresting narrative hook can be enough for an adept screenwriter and filmmaker to fashion into an evocative cinematic vision; the artistry (or otherwise) of the prose is of secondary importance. 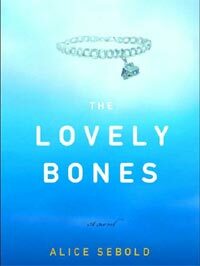 Sterling cast and credentials aside, it is for this reason that I hold out much hope for Peter Jackson’s adaptation of Alice Sebold’s “The Lovely Bones,” a wildly popular novel that is nonetheless more exciting in its conceptualization than in its clunky execution. The novel offers bold visual and structural possibilities, not to mention a strong emotional charge, for Jackson and his collaborators to draw upon, but is weighed down by a maudlin, sometimes lurid literary sensibility that could benefit from the more interpretive route of visual storytelling. The story, in short, requires a subtler hand than Sebold’s to move into the realm of art; whether Peter Jackson, hardly the gentlest of directors recently, is the man for the job is something I’m intrigued to see. The Jackson of “Heavenly Creatures” could tease out the candid, often mordantly humorous tone that occasionally surfaces in the novel to good effect. The Jackson of “King Kong” risks drowning the delicate core narrative in effects-heavy supernatural dazzle, not unlike how Sebold ultimately smothers her story in spiritual bathos in an utterly unhinged final act. As a match of filmmaker and source material, it’s a double-or-nothing proposition. Perhaps that sounds unduly harsh on a debut fiction effort that has redeeming features beyond its overriding stylistic stickiness. Its essential gimmick – as you no doubt know, it’s narrated by the spirit of Susie Salmon, a murdered 14 year-old girl, observing how her family members variously handle the crisis on earth – is distinctive and immediate, and should translate well to film with judicious use of voiceover. As such, the novel is as sporadically moving as any depiction of parental grief, and benefits from Sebold’s decision to expand her focus to the larger community, with Susie’s gaze darting between family, friends, officials and even tangential acquaintances affected by the tragedy. It more of an ensemble piece than the premise suggests, making the novel’s earthbound action more varied and compelling than Susie’s own afterlife experiences. Sebold offers a promising conception of heaven as a piecemeal environment, built by individuals from occasionally overlapping earthly locations, but rapidly loses interest in the idea. Susie’s celestial friends all but disappear after the opening act, giving her little to do but observe the living. For all Jackson’s affinity for the fantastical, I think the film would benefit from taking a similar lead early on, recognizing that earth, not heaven, is where the meat of this story lies. It’s therefore hard to know what to expect from the film’s characterization of Susie, despite the Oscar whispers surrounding Saoirse Ronan’s performance. As the sole narrator of the proceedings, she’s unquestionably the novel’s emotional anchor, but she’s more presence than character, guiding our perspective of events rather than activating scenes. She’s an engaging companion, with a dry teenage wit that disappointingly lessens as the novel progresses, whether intentionally or not – one of Sebold’s more interesting literary conceits is that Susie comes of age even in the afterlife, albeit not to very interesting effect. It’s a subtle brief for a young actress, and Ronan has already proved she has the requisite intelligence to pull off such a feat, but I suspect it might be a more passive portrait than what many are expecting. Other characters are afforded flashier emotional fireworks. As Susie’s mother Abigail, Rachel Weisz has the strongest role on offer, largely because it subverts a predictably sympathetic arc. With her daughter’s death breaking the seal on a family she secretly never really wanted, Abigail’s choice of infidelity and escape as a healing route renders her a bravely unlikable character, though no less empathic for it. Weisz, a quiet thesp who can be at once chilly and relatable, is spot-on casting here; if I were to earmark any one member of the film’s cast for awards attention, it would be her. As Susie’s father Jack, Mark Wahlberg is arguably the novel’s most substantively developed and structurally essential character, the narrative’s key turning points hinging on his psychological ups and downs. His emotional throughline is the most predictable in the novel – progressing from bluff family man to emotionally crippled dependant – but it’s an affecting one all the same, and it’ll be interesting to see how the counter-intuitive casting of Wahlberg in a role that calls for considerable vulnerability pays off. Prospects for other roles are dependent on how Jackson and his co-writers have fleshed out the novel’s often anaemic secondary characters. Stanley Tucci should have some disquieting moments as Susie’s murderer, but Sebold never really gets under the skin of the monster, offering a supposedly poignant backstory that is neither unexpected nor particularly illuminating. Meanwhile, the character of Susie’s boozy but compassionate grandmother gives Susan Sarandon scope for warmth but not much depth. Opportunities for the cast aside, I’m not sure the novel represents as easy a get for Oscar attention as many are assuming. There’s a strong film to be made out of this, one that builds upon Sebold’s eerie blend of everyday detail and eerie otherness, while resisting her irksome urge to protect the reader by tying every loose end with a therapeutic bow. That film could well be too stark and too bleak for the Academy’s liking. Still, even if Team Jackson retain the novel’s softer edges, it remains – with its tricky balance of domestic drama, existential fantasy and Hitchcockian suspense – a high-wire venture. A very well-written piece. I love the book very much. I’m really looking forward to the movie. Especially Rachel Weisz. Still not sure about Wahlberg, though. He could surprise me, though. …i’m dieing for a trailer. I think this’ll get a major awards push…plus Jackson said that once the studio saw a cut of his film…they instantly moved it from march to december for “awards season”. Visually…i’m booming with excitement…its been in weta post for like a year and some of the descriptions i’ve heard of heaven sound amazing….susie walking through a forest of butterfly wings!! !…or susie crying in the middle of the ocean, on-top of a monsoon!!! Love Rachel Weisz and i can’t wait for this film. Finally! The page-to-screen article I was most looking forward to! Thank you! I loved the book and I can’t wait for the movie. Although I would love to see Winslet in that role, I agree that Weisz is a good choice and if she is good she will probably get a nod (lead or supporting). But I also want to see Sarandon getting one because it has been so long and I think she can handle this role brillianty. I just hope she tries hard and doesn’t just use her “I can do it in my sleep” ability which I think she used in Enchanted. I also want to say that I think too much attention has been paid to the fantasy element which in my opinion is by a mile not the point of the story. I mean, yes, it’s an interesting part but I think the strength of the book laid solely in the drama. Any way, great article Guy. Is Shutter Island on the menu? Well, Roark21 I hadn’t read your comment when I posted mine. Maybe the fantasy element is an advantage in the movie afterall. I’m even more eager to see it now! Roark21: where did you find the screenplay? Yea, i’d really love to see all the ladies… Ronan, Weisz, and Surandon all get a nod, or at least give worthy performances….I cant wait to hear Brian Eno’s score…i think his ambient and blissful style will go perfectly with the heaven scenes…highly recommend his song “The Big Ship” for a taste. Yea, i’m with ya Jim…i hope the imagery doesnt hinder the drauma…but i think Jackson will balance them well…and a full blown vision of heaven brought to us by P.J. sounds intriguing as hell. Jim: Using only the novel as my guide, I’m inclined to agree with you about the supernatural elements … I think it’d be a mistake to let them swamp the human drama. And yes, I’ll be discussing Shutter Island eventually. Uh. This review deserves a better novel. I read the review twice just to make sure it’s for the book I read.. The screenplay is a butchering of an average to sub-par pop novel… I can’t see how this will end well. Adelutza and Conroy: I’m glad I’m not the only one who thinks it’s a pretty feeble novel. Remember that the point of this feature is to review cinematic potential rather than literary worth — otherwise I could pick apart the weaknesses of Sebold’s style until the cows come home. I haven’t read the screenplay, as I didn’t want my lines of analysis to get blurred. How is the Lindsey and especially the Ruth role as written? If I recall, they were the best characters in the book. When I heard that Jackson was adapting TLB I thought, “Hey, he’s going to take a step back from all the visual spectacle.” Well looks like I was wrong.